BBSF Surf Art Markets Are Back! Alright guys, we can only lead you on for so long. 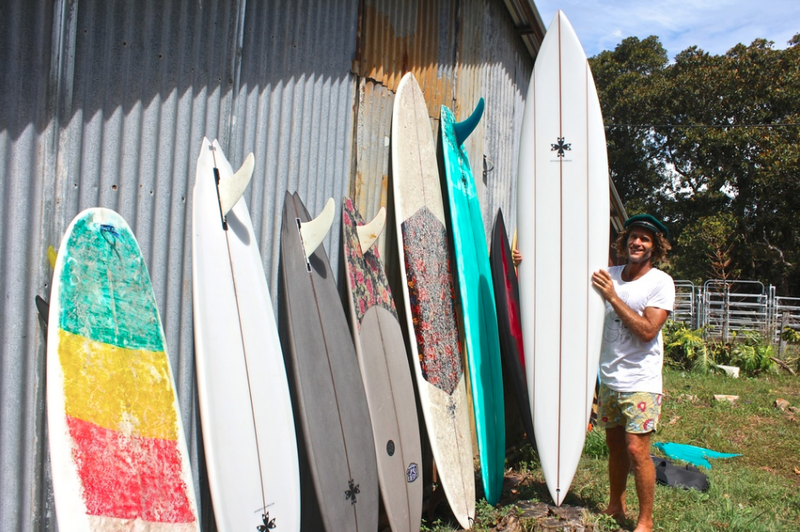 It’s time we got down to the details we’ve all been waiting for… Our famous Surf Art Markets proudly presented by Stone & Wood are back, and you guessed it, they’re BETTER THAN EVER! 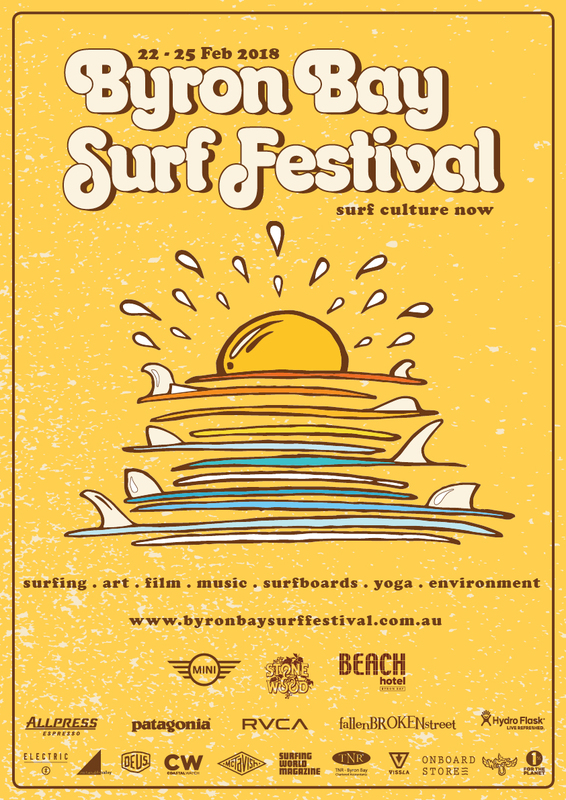 On Saturday, February 24th, the foreshore of Byron comes to life in a true celebration of all things Surf Culture. 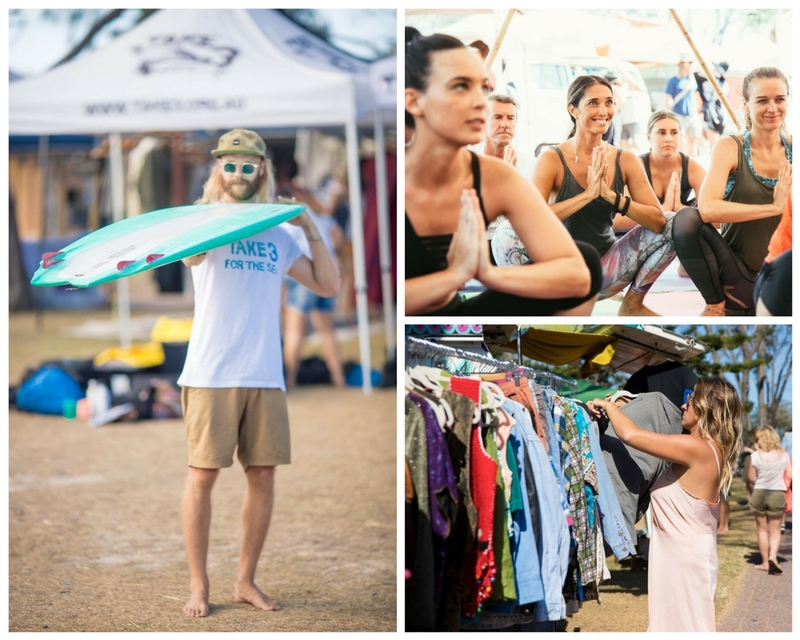 Taking place at Denning Park, with an epic showcase of shapers, fashion, food, workshops, artisans, surf accessories, live music and more – this years 2018 lineup is set to break BBSF records! A LITTLE ZEN FOR BREKKIE ? What better way to kicks things off then a little yoga, bright and early! Wake up your mind, body and soul during 3 back-to-back sessions with the lovely Paloma from 8am-11am in the Shaka Yurt. Whether prepping for a surf, or looking to completely connect with your body, we’ll be rolling out the mats at 8 am for vinyasa flow. Then, come alone or bring your best mate, as you to learn to fly, balance and trust during our Acro Yoga session, with the fun set to pop off at 9am sharp. Last, but certainly not least, let your body settle and your mind soar as we dive into the deeper meanings of yoga in our Yoga philosophy session, set to start at 10am. FREE DEMO…? WHAT’S THE CATCH!? At some point over the past decade, you’ve bared witness to the transformation of lineups, once littered with traditional white surf tech, now gleaming with neon colors and the most playful shapes and designs you’ve ever seen… It’s time to CATCH on! The salty, slide-savvy lads from Catch Surf are bringing us the latest and greatest in stylish and fun soft-top innovation. Make your way down to this year's Catch Surf board demo on Saturday, February 24th from 10:30am, as we transform the lineups of Byron Bay into a saltwater playground, giving YOU the chance to join the revolution and demo the latest lineup of liquid shredders! Riding the lines of self and leaving an impact on the world serves at the foundation of creation. Hailing from Ocean Beach San Francisco, Jay Nelson builds and crafts within and outside these lines, breaking rules, and bringing the unknown into light. Preferring to use reclaimed wood where possible, Jay’s structures include custom campers, quirky water-craft, treehouses and various types of dwellings for both living and creating. 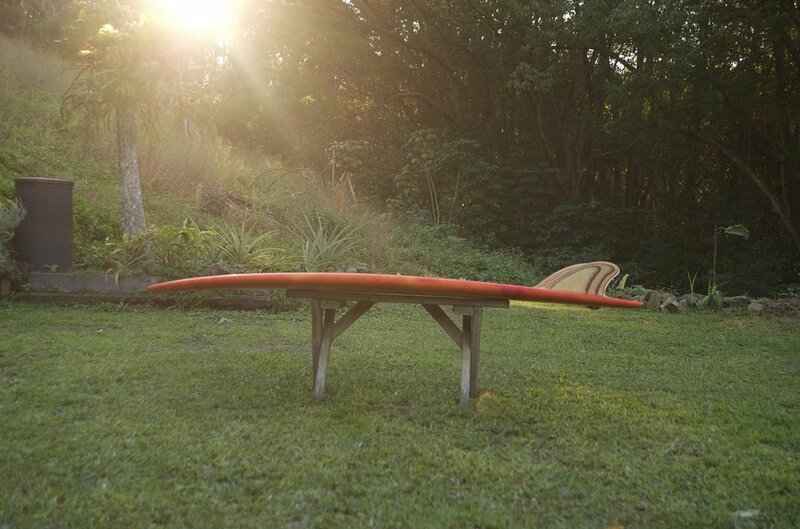 Jay’s fierce love of the ocean and surfing is evident in his carpentry, art, films and creations, and this year at BBSF, he’ll be constructing a custom Adventure Vehicle with the Vissla Team. To join in the adventure, be sure to participate in the Saturday market workshop, where Jay will be inviting you to catch a glimpse and experience his world during this unique and special moment. Jay and one of his rad vehicles! Why not adorn that open mind with a brand new hat? Launched in 2011, Fallen Broken Street Headwear connects a classic Australian look with the creative energy swelling at the heart of Byron Bay. Their attitude for carefree-livin’, a love of the sun, surf and all that’s cool has attracted a cult-like following in just a few short years. Join us for the Fallen Broken Street hat workshop at the Saturday Markets, and indulge in the different. Tip be sure not to miss the jam session on the roof of the Fallen Broken Street bus from 4-5:30pm!! Let us not forget the brave and creative men who came before us… the ones who put forth resin to foam and declared ‘Let there be surf!” Let us celebrate those who shaped the way, and guided our feet to walk on water. In just over two week’s time, expect to see the best in innovative, sustainable, art-driven and hand-crafted surfboards when a unique lineup of both local and international craftsmen descend upon the shores of Byron Bay - educating and celebrating in the art and the discipline, the joy and the future, of all things surfboards! 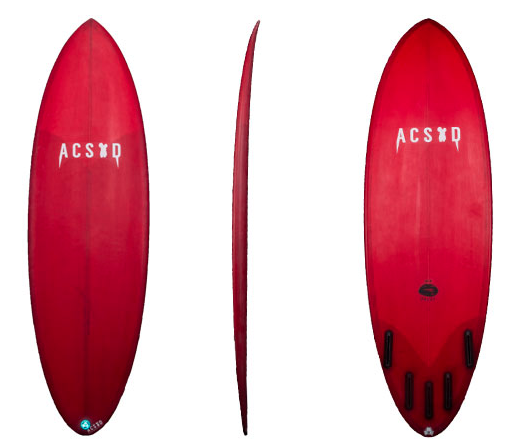 ATTN: If you’re a shaper producing either innovative, sustainable art-driven and hand crafted surfboards we’d love to hear from ya!! We still have a few spots available for you this year in our Surf Art Markets, so if you’re interested in locking down a slot in the Shapers Zone, please contact Ciel at markets@byronbaysurffestival.com.au as soon as possible! Inspiration will be in no short supply at the 2018 BBSF Markets. Our event-packed weekend keeps it moving, with a fresh buzz around every corner. 4pm : the Atmosea Gurfer parade. With creative workshops, interactive demos, top-notch presentations (all with captains of surf and culture at the helm) you’ll be riding high at this years BBSF Surf Art Markets. To stay up to date with the latest happenings of the festival make sure to check out our media partners - the Echo, Byron Bazaar and Byron-Bay.com.